Owning a pool is a big responsibility. One of the things that people sometimes don’t think about is that the pool will need to be replaced after a while. The typical plastered inground pool requires replacing about every ten years. There are some maintenance and repair measures that you can take to extend the life of your pool. However, there inevitably comes a time when you start wondering whether you should do more repairs or just replace the whole thing. Carefully consider whether the pool has more problems that seems reasonable to fix, and what those problems are, before coming to a decision. If you intend to keep the pool, it will need replacing at some point, so it doesn’t always make sense to sink more money into repairing an old pool that constantly needs something fixed. Individually, each of these signs may not mean that you need to replaster your pool, but if you see more than one of them, or they are long-term problems, it’s probably time to call someone in. Some staining of the plaster in your pool is inevitable because pool plaster is a natural material that will take up colored substances. Mineral stains may occur if you have poor water chemistry, which will need to be rectified. Otherwise, you might end up with new stains on your replastered pool much more quickly than you would like. Stains can be kept at bay with acid washing, to some extent. Mild staining in a relatively new pool may be able to be entirely removed this way. However, acid washing cannot be done too often, or it may lead to roughness on the surface of the pool, which is the next warning sign that your plaster may need to be replaced. Either due to age, excessive acid washing, or a poorly done previous plaster job, the surface of the pool may become rough. This can cause snagged swimsuits, scraped skin, and algae that is extremely difficult to remove. Sanding down the plaster is a reasonable option for small areas, but if the roughness occurs throughout the pool, the plaster will need to be replaced. If there are dark spots in the pool that do not appear to be stains, they may be areas where the plaster is extremely thin. 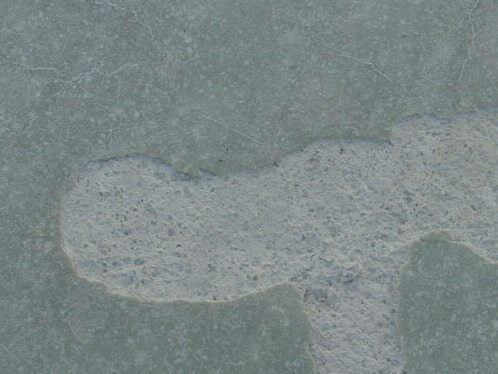 Thin plaster is relatively translucent, which allows the underlying concrete to show through. Because the plaster is the protective, waterproof layer, it is a major concern when it thins to this point. The plaster can also come off entirely. This may occur when chips of plaster fall off, or if a crack forms. 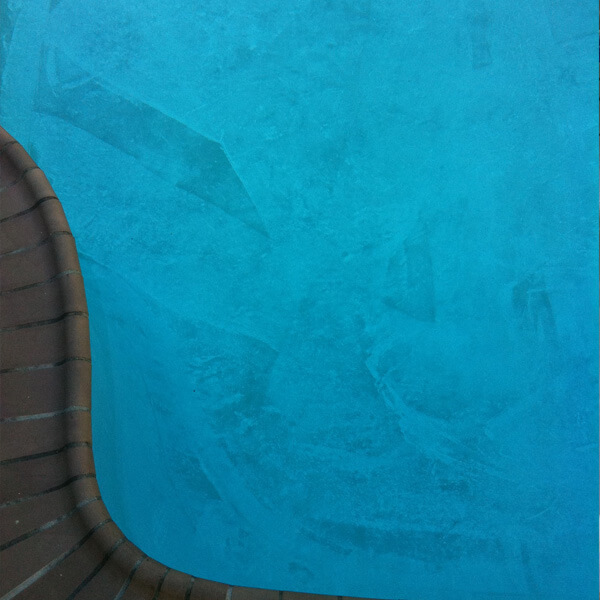 There are some materials made for fixing small cracks and chips, but if more than one of these occurs or it covers a large area, it may be necessary to replaster the pool. If either excessive thinning or chipping occur, leaks can be the result. 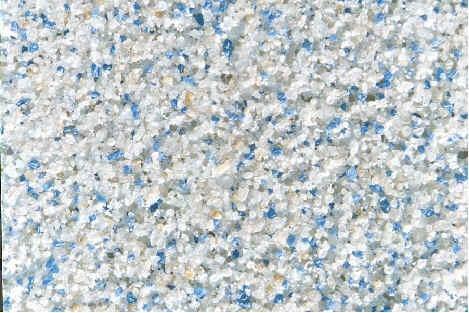 Pools that are plastered in a color other than white may lose color over time. This can be due to water chemistry issues or to the material that was used to create the color in the first place. Many plaster companies will use organic color pigments in their plaster because it’s cheaper to produce, but organic color actually fades faster. At BlueTerra Pool Construction, we use inorganic color pigments in all our plaster, which ensures a longer life for your pool surface. Replastering a pool can take anywhere from a few days to a few weeks, depending on the size and complexity of your pool. First, we have to remove the old plaster and pour in the new. Once the plaster is poured, it has to cure and harden. Rough surfaces are then smoothed out and finishing touches applied, allowing the plaster to shine to its fullest potential. After this is done, the pool still needs to be refilled. What Time of Year Should You Replaster Your Pool? There are a number of reasons why you might need to replaster your pool, but no matter what the reason, timing is an important issue. Typically, you want to shoot for an ideal temperature range rather than a time of year because temperatures at different times of the year vary so much across the country. In general, the ideal temperature for replastering a pool is somewhere between 50 and 75 degrees Fahrenheit with a fair amount of humidity. Depending on where you are located, these temperatures might occur in the spring or fall, with some southern areas of the U.S. experiencing them throughout winter. It is not generally possible to plaster when it is a lot colder than 50 degrees Fahrenheit, although we will work when temperatures dip down into the 40s. If the weather gets too hot and dry, the newly-applied plaster may dry too fast and develop tiny cracks that can affect integrity. Wind may also affect the timing involved because it can kick up dirt and debris that may wind up stuck in the wet plaster. In some areas, certain months of the year that are ideal temperature-wise may be too windy for pool replastering. The combination of these factors makes it difficult to say with certainty when it is best to replaster a pool. Your local professional (that’s us) will make a recommendation based on your specific circumstances. The size and shape of the pool are the two major variables in cost when it comes to replastering. Pools that are uniquely designed and shaped may require more work to replaster, and thus be more expensive. Bigger pools are more expensive because they require more work and more material. The color you choose for your pool plaster will also dictate the overall cost – intense blue pigments are typically more expensive due to the cost of raw materials. Give us a call to get a replaster estimate for the pool at your home or business!